For many clients, the perfect custom home blends into a natural setting while still retaining an architectural character all its own. This 4400 sq. 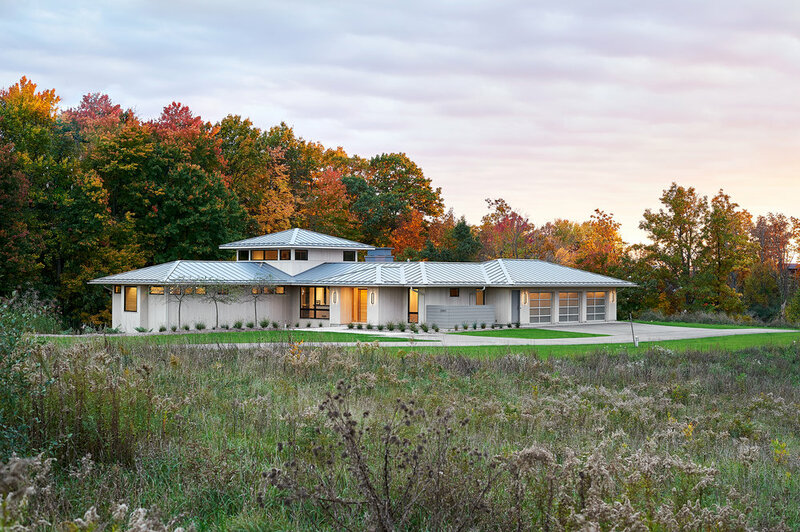 ft home, completed in 2015, integrates a traditional prairie aesthetic with modern accents. Show-stopping rift- and quarter-sawn white oak floors meander throughout the house and abundant windows permit natural light. 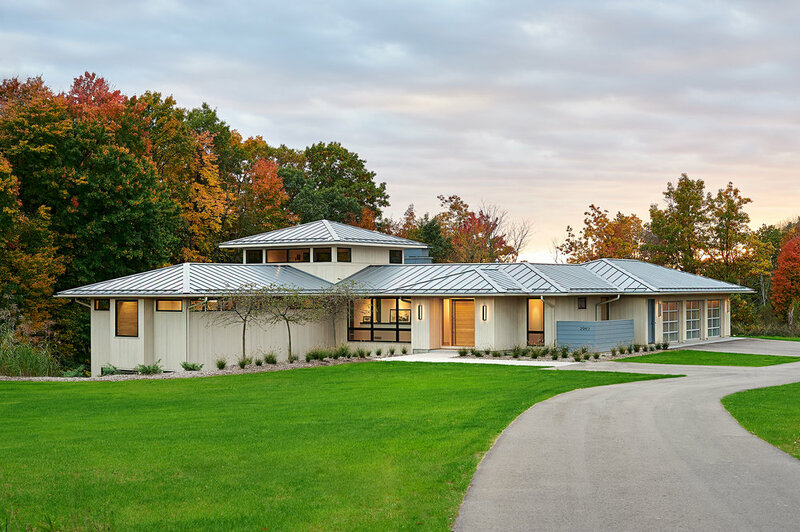 Conceived primarily as a peaceful family treat, the home was designed to also make guests feel at ease by creating a chain of intimate living spaces. 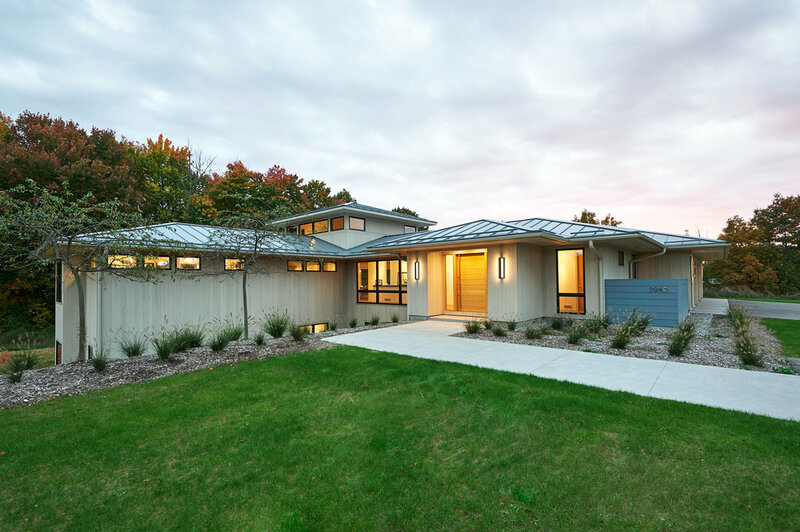 Notable elements include clear vertical grain cedar siding and a steel roof.